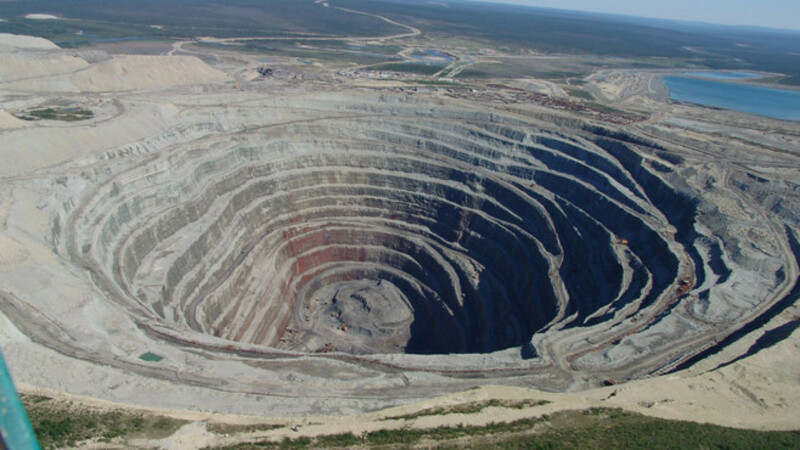 Few companies face as big a “green challenge” as the pit of the Udachnaya Diamond Mine in the Sakha republic. The attempt to teach ethics can be said to have failed spectacularly if it is measured by the behavior that led to the global financial crisis that erupted in 2007. French professor at Audencia Nantes School of Management, Dr. Andre Sobczak, associate dean for research, told Mark Gay that social and environmental responsibility should have deep roots, and be a part of a company's central strategy if it is to have a lasting impact. MT: Does the discussion of corporate and social responsibility, or CSR, penetrate a bit deeper into the psyche of executives? All those ethics courses did not make much difference to the financial crisis, did they? One of the problems with ethics courses is that they suggest that you as an individual must have a certain type of behavior even if it goes against the economic interest of the company. Our approach is to say that because you pay attention to new social needs and trends, you will be able to develop new products and services and create stronger relationships with communities and your employees, which you will be able to measure financially. MT: Which Russian companies do you work with? For the moment it is easier to approach large Russian companies. We have projects with RusHydro and UralSib. We are also looking to work more with small and mid-sized enterprises, or SMEs. We are working with a network that brings together leaders of SMEs who are working on religious values. We found in western France that a lot of the SMEs that are active in the field of social responsibility have leaders who share Catholic values and from a research point of view it could be interesting to see if there is a link between the personal values of the CEO and the management of the company. Big companies comply with regulations but small companies have more to do with personal values. MT: Do you find Russian executives to be more skeptical about CSR than executives in France, for example? In many Russian companies, it is seen as charity. They are doing things with local organizations or giving money to charities but this is not the core of CSR. Even in France maybe only 5 percent of companies really embed CSR at the heart of their strategy. MT: You said that companies must work not just with charities but also with civil society. How do you sell that idea to Russian companies? The biggest problem for companies, whether in France, Germany, in Europe or the U.S. is that in order to find new solutions to different challenges it is important to work with people who think differently and who defend different points of interest. So you see more partnerships between companies and civil society. French companies create partnerships with the World Wildlife Fund or environmental nongovernmental organizations when they are creating new products in order to reduce the carbon footprint. MT: If Russian companies were to work with NGOs, which areas would they find it profitable to explore? Sometimes companies give their staff an amount of time to work in the NGO or to help it become more professional. For example, the accountant of the NGO goes once a month to help it become more professional. The accountant may develop new skills through having to explain processes to nonspecialists. He may find that he is then better able to explain accounting to colleagues within his own company, in the marketing department, for example. MT: When the clothing factory burned down in Bangladesh, killing 2000 clothing workers, there was a global scandal but very few foreign companies that used the Bangladesh factory paid money towards the victims' families. Even in the face of terrible PR it was still not enough to make them change their business model. Some European companies reacted by signing an agreement to change working conditions. What was interesting was they signed that agreement with international trade unions because there is a lot of debate about how to control and monitor the supply chain. There is a lot of suspicion about external auditors because they are paid by the companies, come two days every two years, and local companies can arrange to hide the worst working conditions. The idea now is the trade unionists are constantly inside the companies and they can tell the multinational companies what is going on on the shop floor. MT: The fact that the deal was with trade unions is probably why some big U.S. companies would not sign it as it conflicts with the philosophy of how they run companies back in the U.S. But Apple also had to deal with questions about its suppliers. How has Apple dealt with that? It is a huge problem for them, and they have not reacted very well. They have said they would change some suppliers and monitor them more closely, but nothing that changes their behavior. Apple is not really transparent about corporate and social responsibility. For example, in France, we had a huge initiative to measure the environmental impact of smartphones and all companies had to deliver information about the materials and chemicals used in phones, their energy consumption, for example. Now when you go to a shop you can compare the environmental impact of smartphones. Apple was the only company that refused to take part because they consider that their brand is strong enough to gain trust, and they do not want someone from outside having an influence on it. I think they are very vulnerable now because a lot of people like Apple products because of the brand and they pay a premium for the product. If they decide that the brand is just marketing, and begin to question what is behind it, will the consumer stay with the brand over the long run?